Your Ford Transit Cargo Van interior is available with an 83-inch low roof height, 100-inch medium height roof, and a high roof that stands over 100 inches, so it’s ideal for anything from basic packing and unpacking to upfitting for those who need space to stand and work throughout the day. 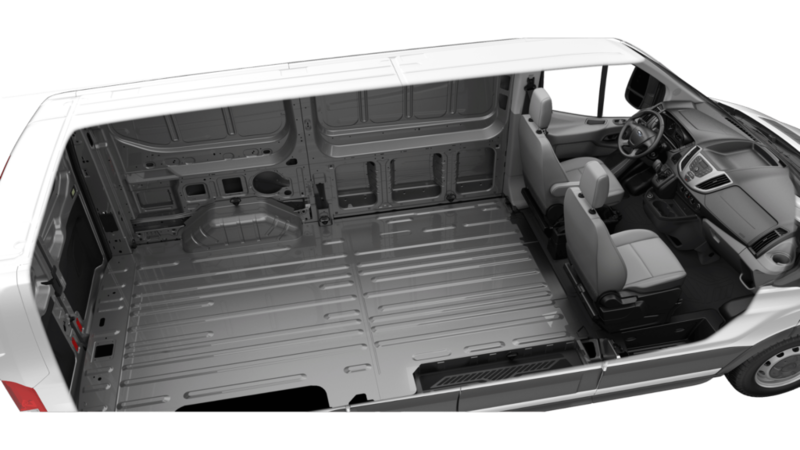 As you might expect, the Ford Transit Cargo Van offers an abundance of cargo space — there’s up to 487.3 cubic feet in the roomiest configuration. That’s 20 cubic feet more than any Ram ProMaster can handle and 200 more than a GMC van. 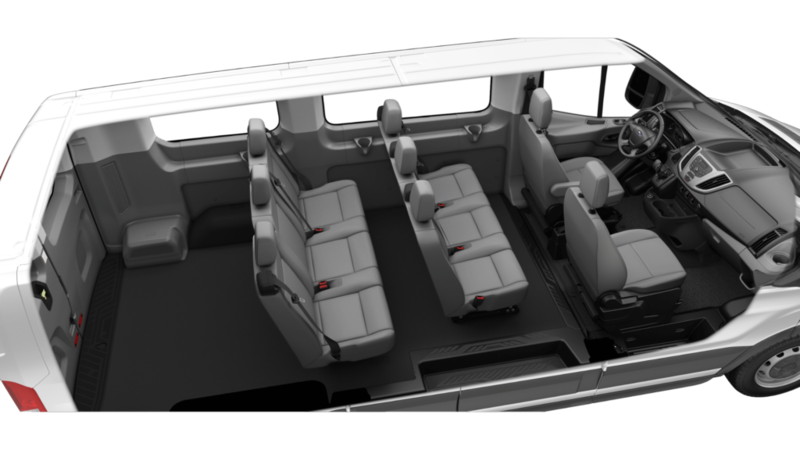 The Ford Transit Wagon interior clearly caters more to people than cargo, and there’s certainly no lack of space for everyone to stretch out and relax. Available aisle seating means no more leapfrogging to get seats at the back, and a best-in-class interior height of 77 inches with the high-roof model lets even taller adults move around without feeling cramped. And don’t think the Ford Transit Wagon sacrifices cargo space in favor of passenger space — there’s up to 100.5 cubic feet behind the last row. Whether taking 15 people from Plainfield to Naperville or sitting in Aurora traffic, the interior never feels like anything less than a home away from home. You can experience the performance of Ford Transit engines and take a look inside each model by visiting River View Ford. Contact us online with any questions.